Tickets for New Japan’s next show in California will be going on sale very soon. Ticketmaster.com has a page up for the upcoming G1 Special In San Francisco event, with the page mentioning that tickets will go on sale May 1 at 1 p.m. EDT. Prices will start at $40, with the highest priced tickets reaching $300. No card has currently been announced for the event, which will be held on July 7. 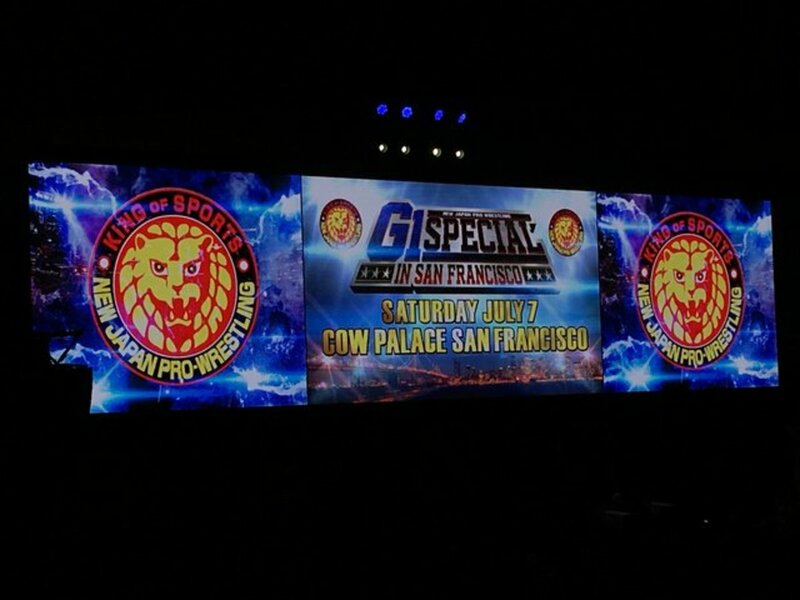 The show will be held at the Cow Palace in Daly City, California which is in the San Francisco area. The building holds around 12,000 people. Depending on seating, if they were to sell out, it would be one of the biggest pro wrestling events outside of WWE in the United States in decades. The last time that New Japan put tickets on sale in the United States, they sold out the Walter Pyramid in Long Beach, California in about twenty minutes, filling up the arena with over 4,000 people back on March 23. In that main event, Kota Ibushi and Kenny Omega defeated The Young Bucks in a long, hard fought bout. Matches and talent for the event have not been announced.